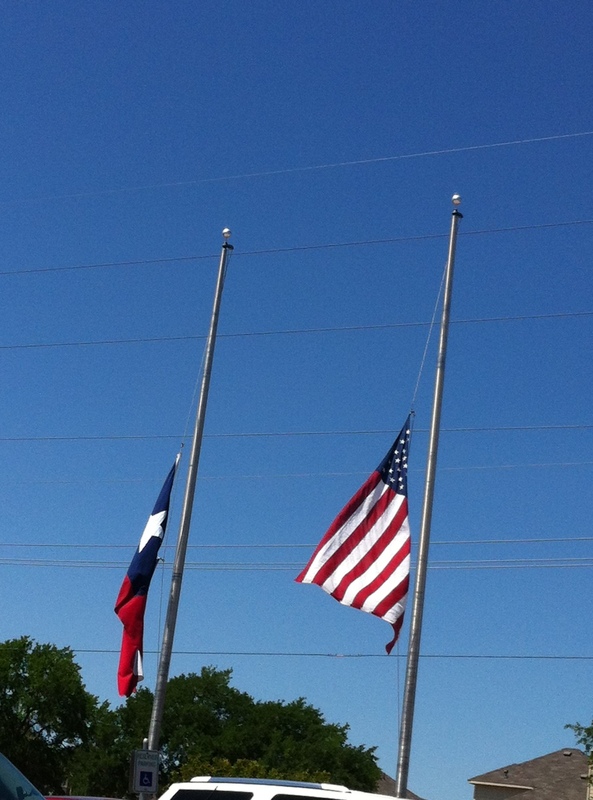 Every time I see the flags at half staff my heart aches for the loss it represents. This week has been tough week. My eyes are drawn to the flags. I can count them on my way to and from work. I don’t try to divert eyes even though I know when the flag is coming up. I choose to allow myself to feel the pain and mourn with my fellow mourners. There is not a life that was lost this week in Boston or West that didn’t touch someone else. They each had a mother and father. Maybe they were a friend, brother, sister, cousin, aunt, uncle, mom, dad or grandparent. My heart and prayers go out to each of them.